and DJs on the decks at a late night after hours in the hidden speakeasy! and our signature chargrilled chicken, of course! Portuguese tradition dictates that at midnight each guest is given a little bag of twelve raisins to represent the months of the year. In one of the bags, we have planted a golden raisin. The lucky winner will win a very special prize on the night! Champagne will be poured at midnight, after which we will carry on into The Green Room, our speakeasy cocktail bar, with a cocktail from us to get the party started! 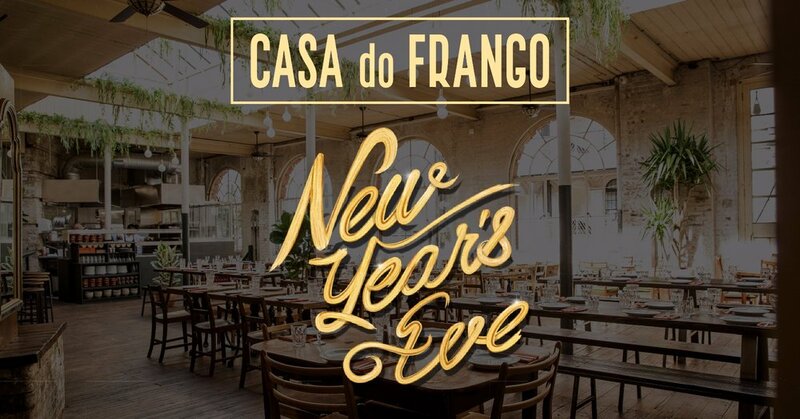 Bring your friends and family and prepare to start 2019 in Portuguese style! - If one week notice is given for cancellation, 50% of the payment will be refunded, otherwise full prepayment will be retained. - If more guests arrive than what was originally agreed at the time of booking, and with no prior notice given, we may not be able to accommodate the extra guests.